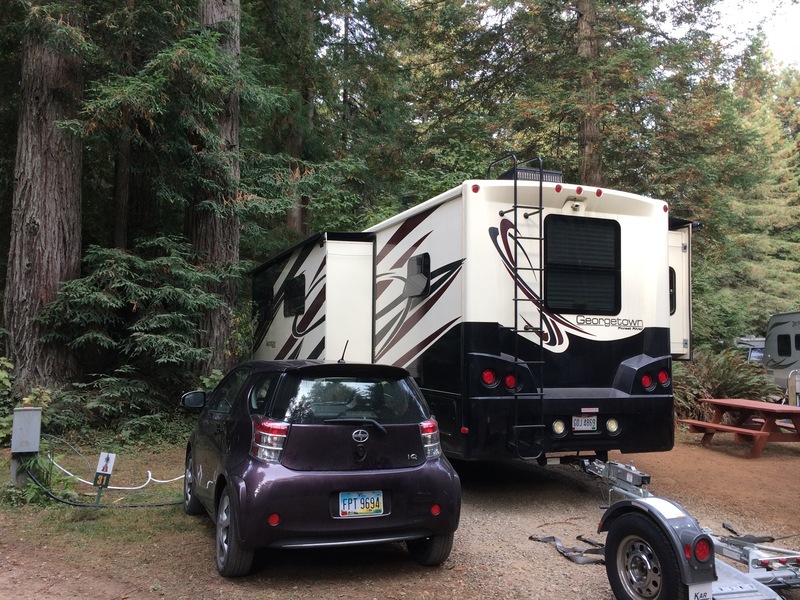 Our first stop is only 15 miles south of the Oregon-California border and 5 miles north of Crescent City. 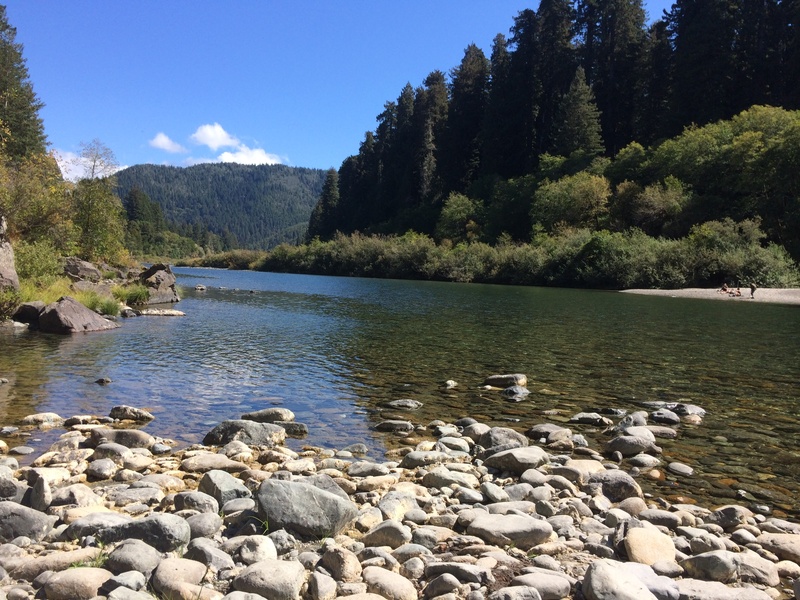 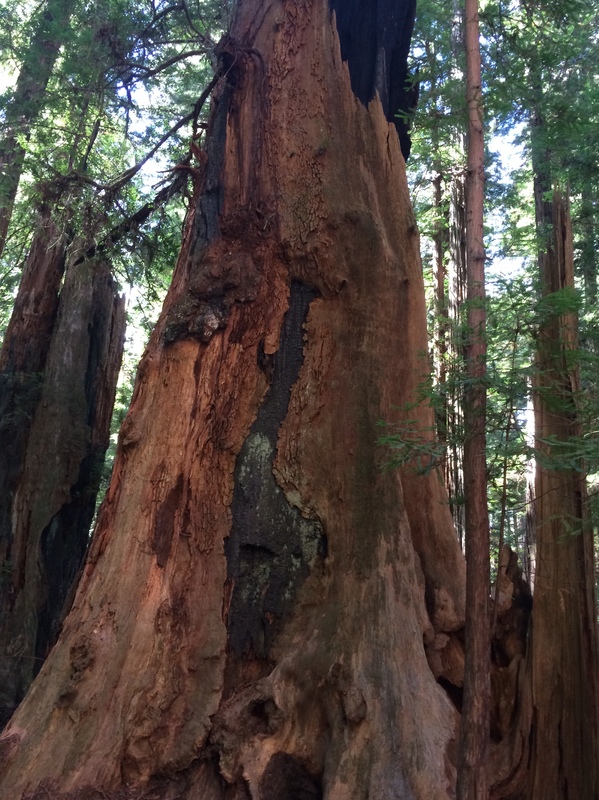 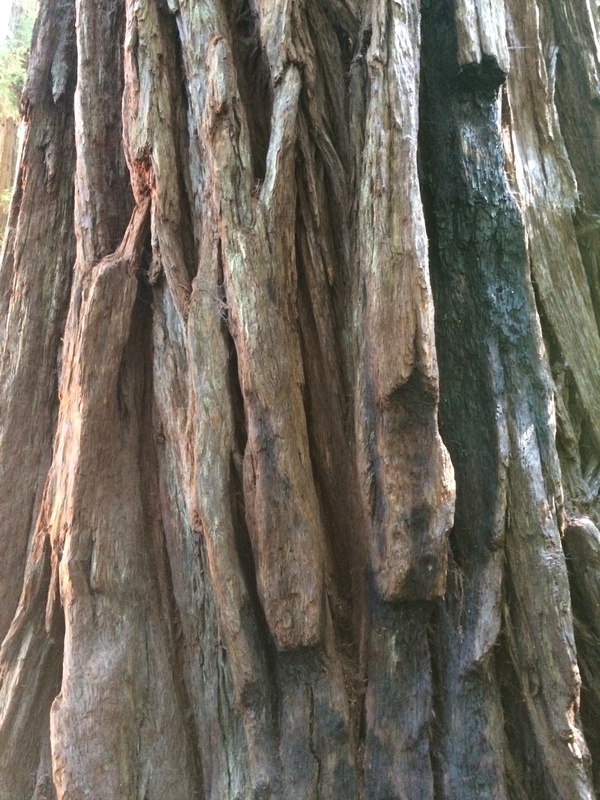 But we can’t leave northern CA without visiting the amazing redwoods. 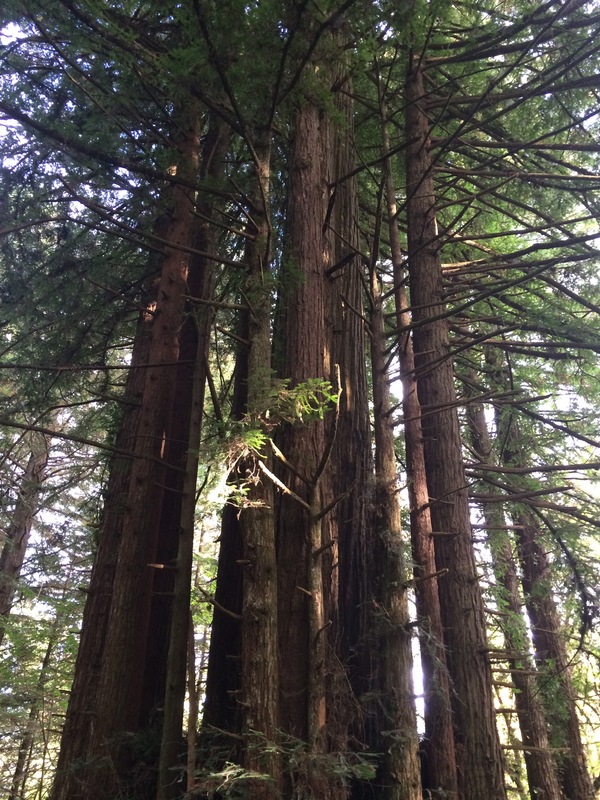 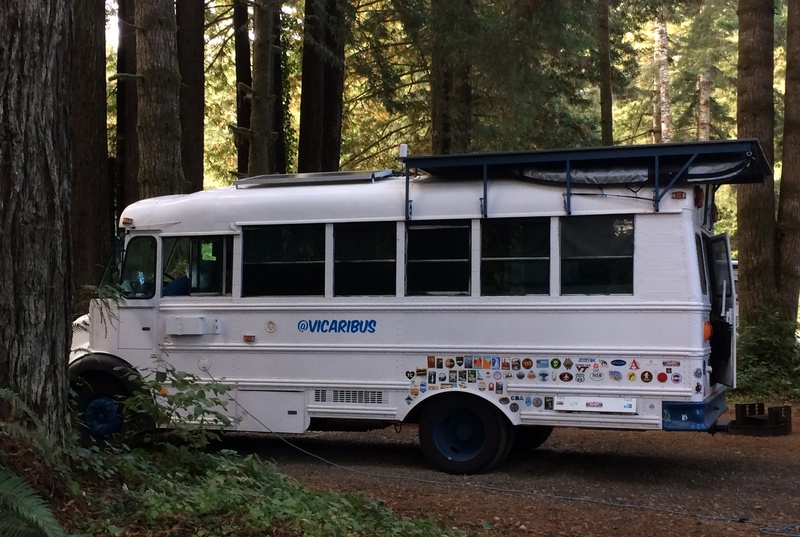 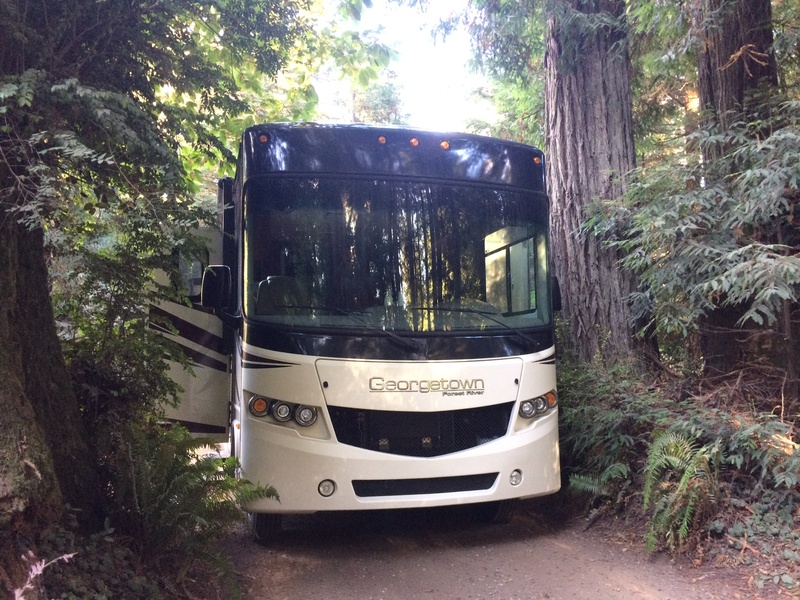 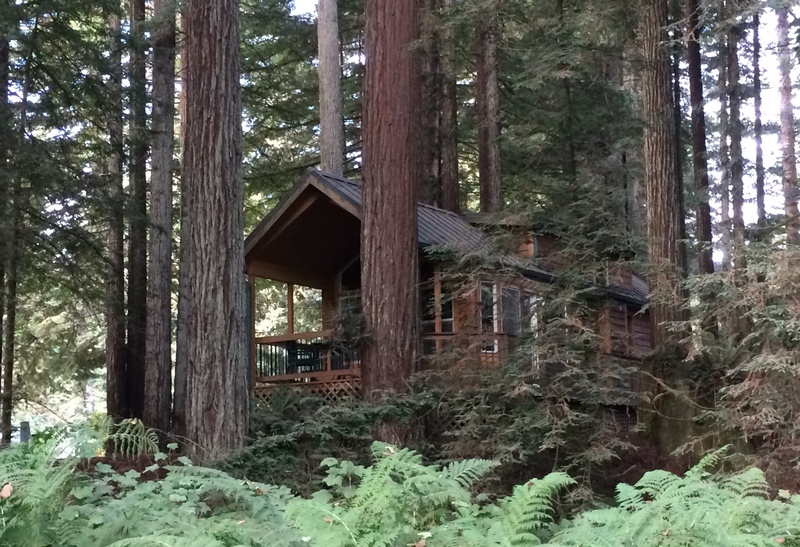 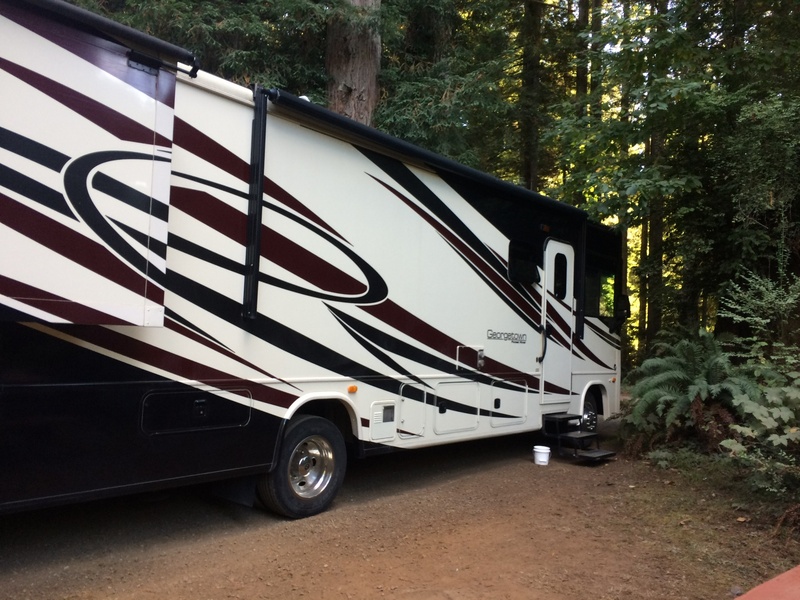 Just off Highway 101 on the Del Norte coast, this RV Park is nestled under the tallest tree species on earth. 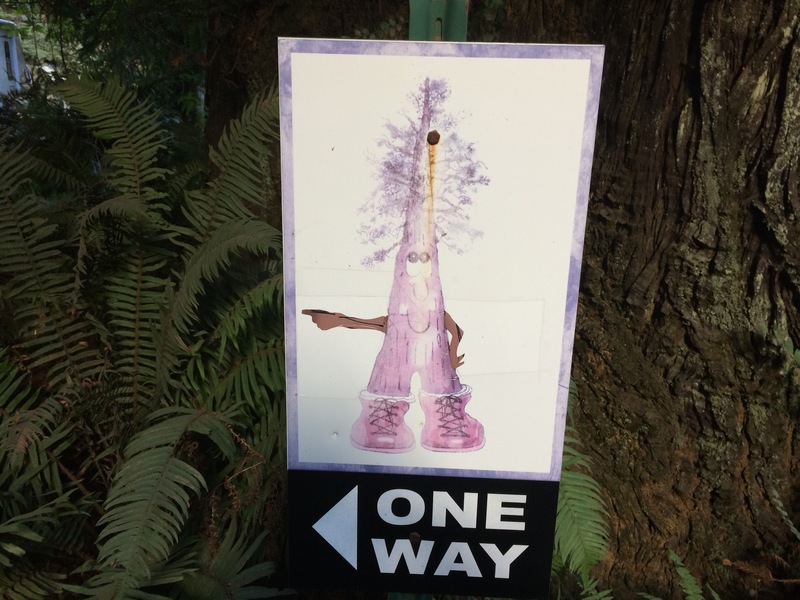 The Redwoods Camping Mascot Woodrow Redtree guides visitors throughout the grove of cabins, RV spaces, and tent sites. 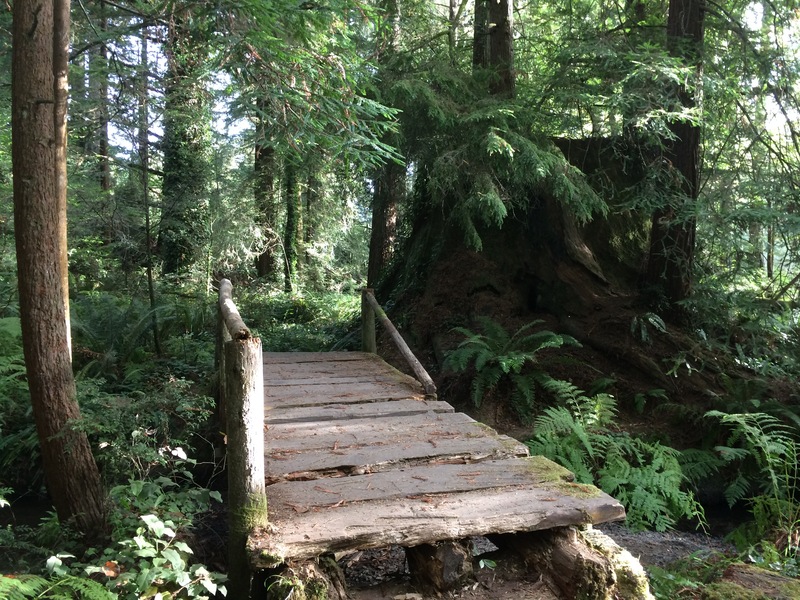 A short trail in the park starts by crossing an old planked bridge. 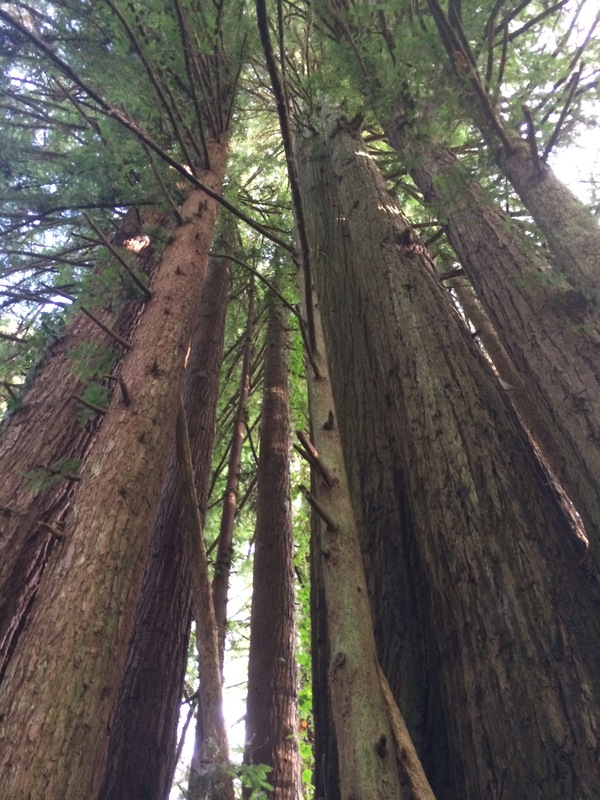 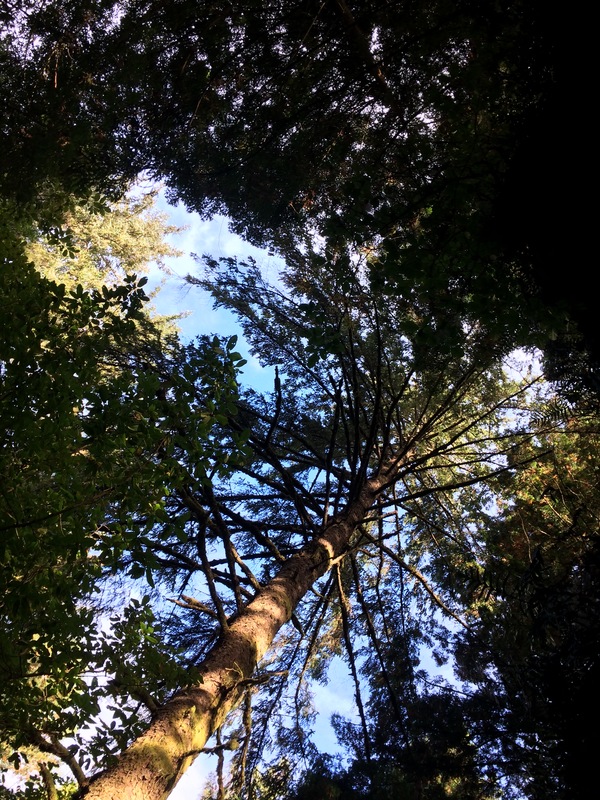 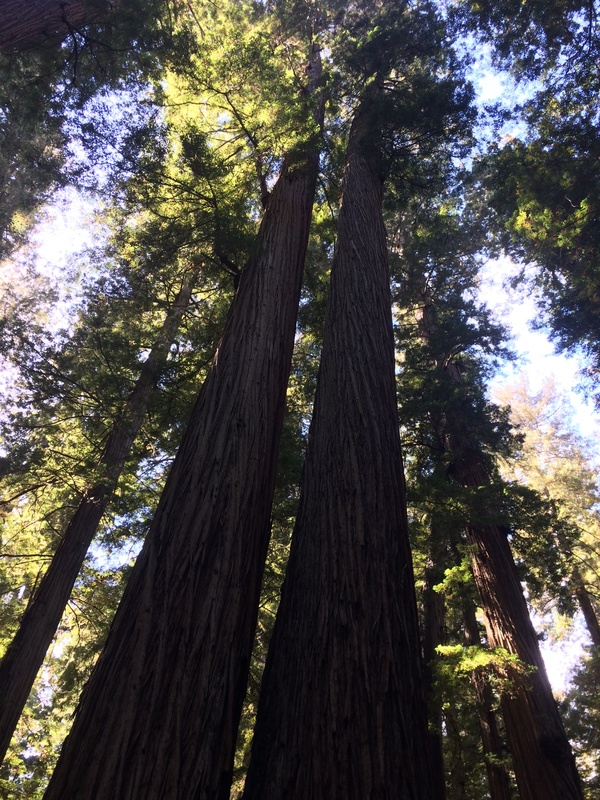 Life is always “looking up” when redwoods tower overhead. 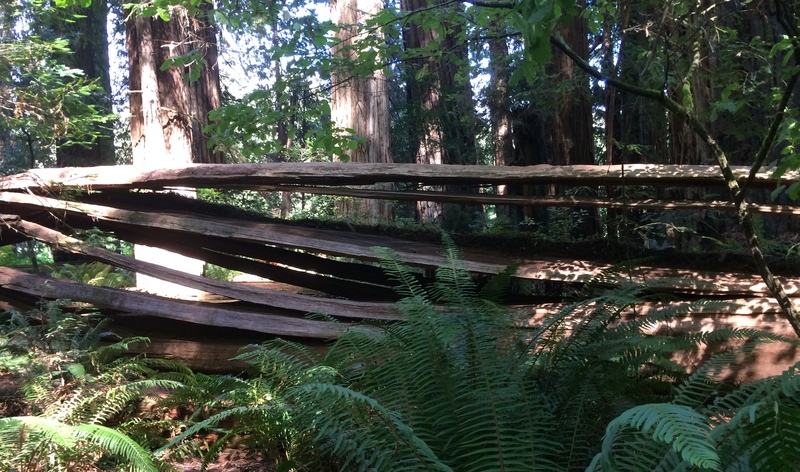 A fallen coastal redwood looks like a wall. 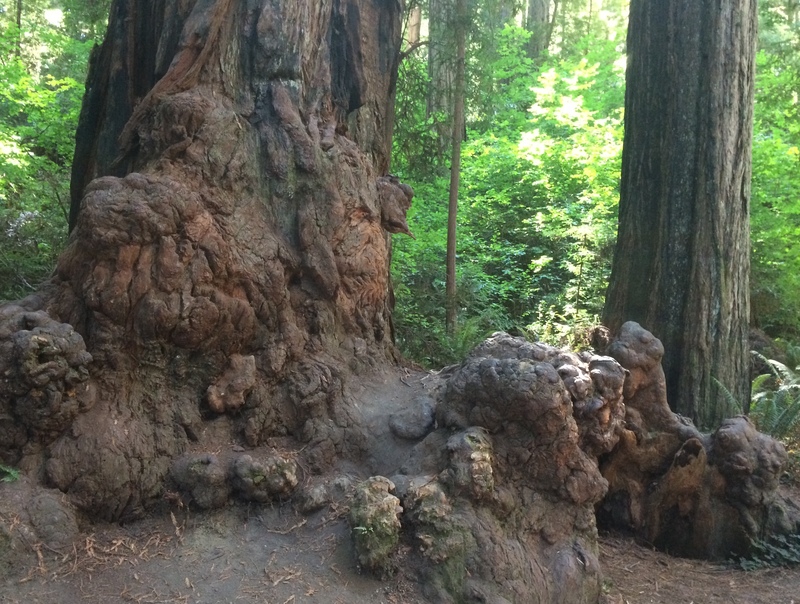 Look at the size of these shallow roots. 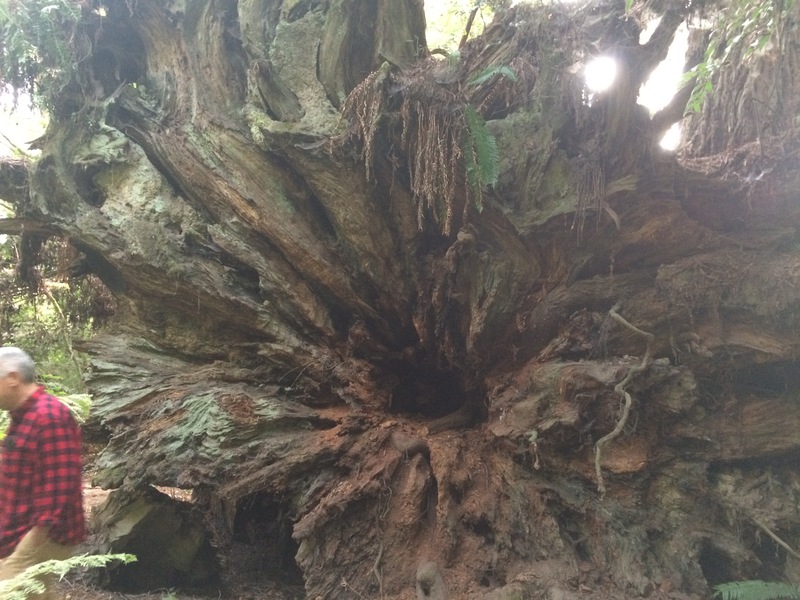 That’s all that was holding up this giant. 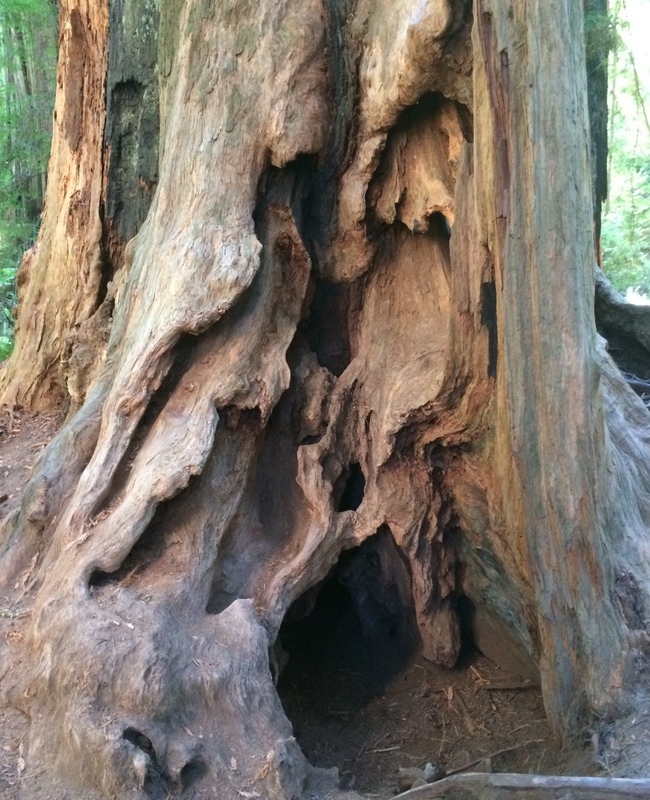 Here’s the other side of the log. 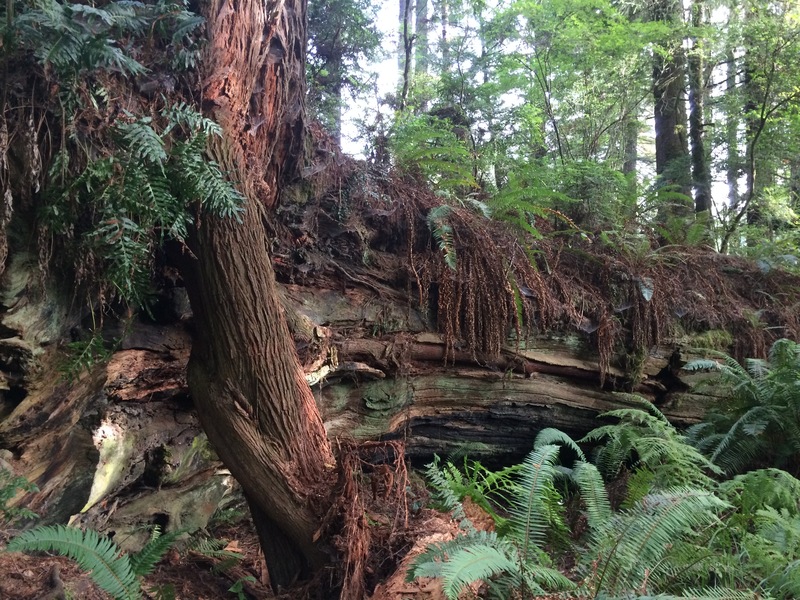 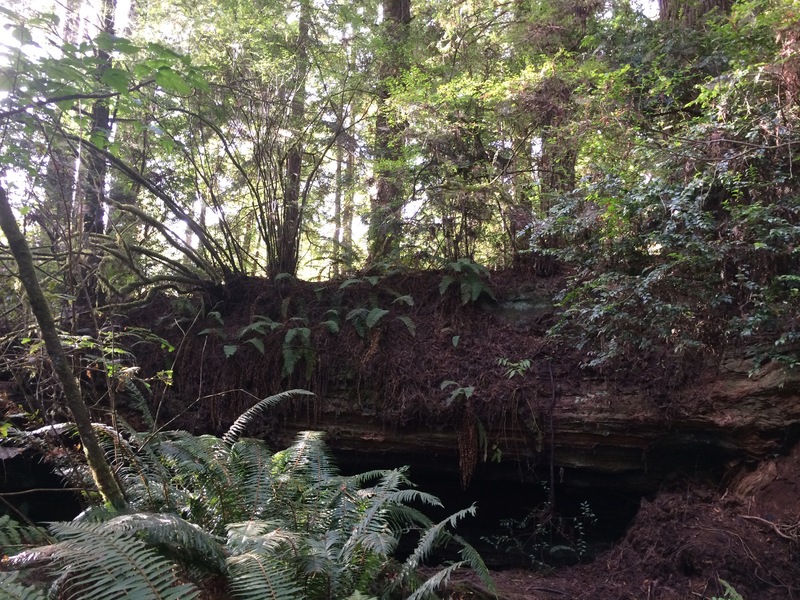 Even fallen redwoods provide habitats for plants, shelters for animals, and enrichment for the soil. 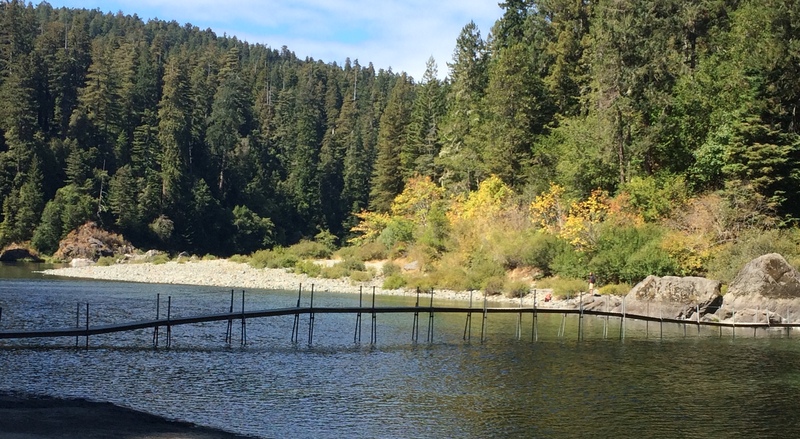 At the end of the trail I pick blackberries and carry them in my always handy dandy black bandana. 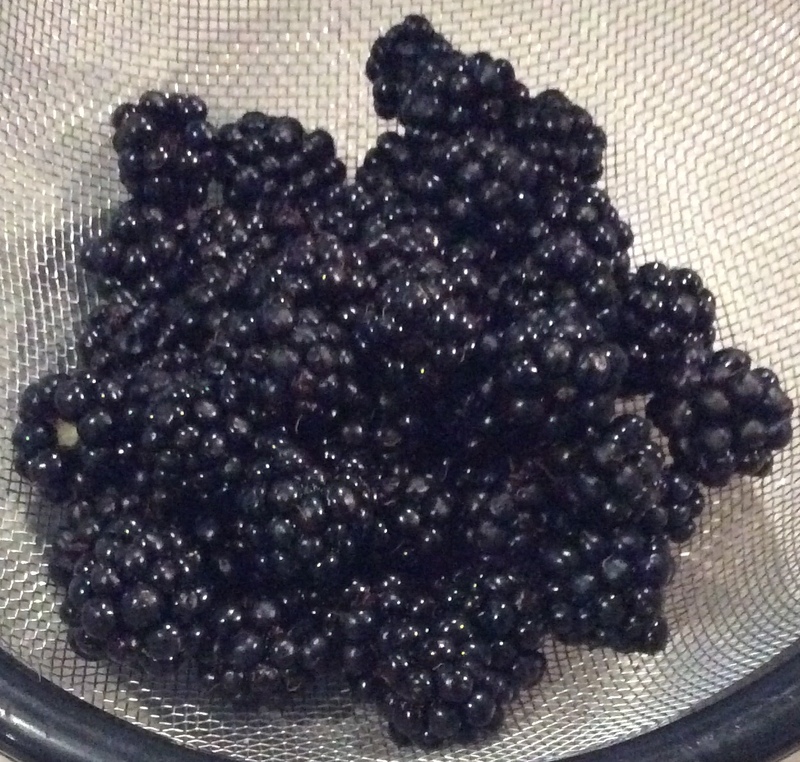 I look forward to eating these with some Greek yogurt and honey we bought locally. 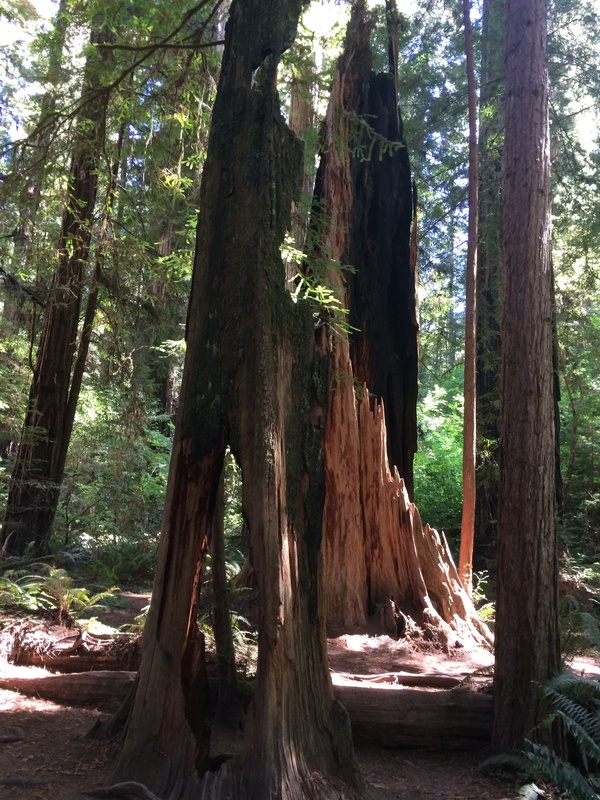 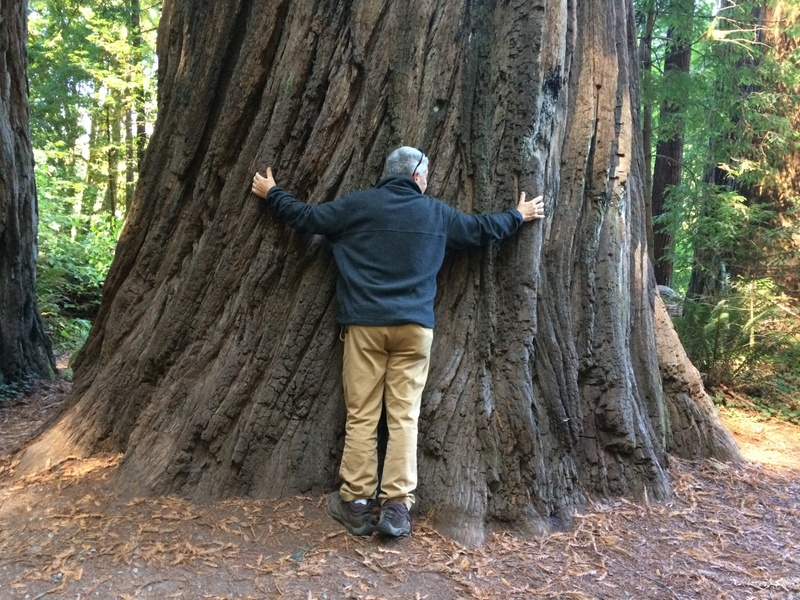 Two years ago Jeff and I stayed at Jedidiah Smith Redwoods State Park and first experienced the majesty of this ancient coastal redwood forest. 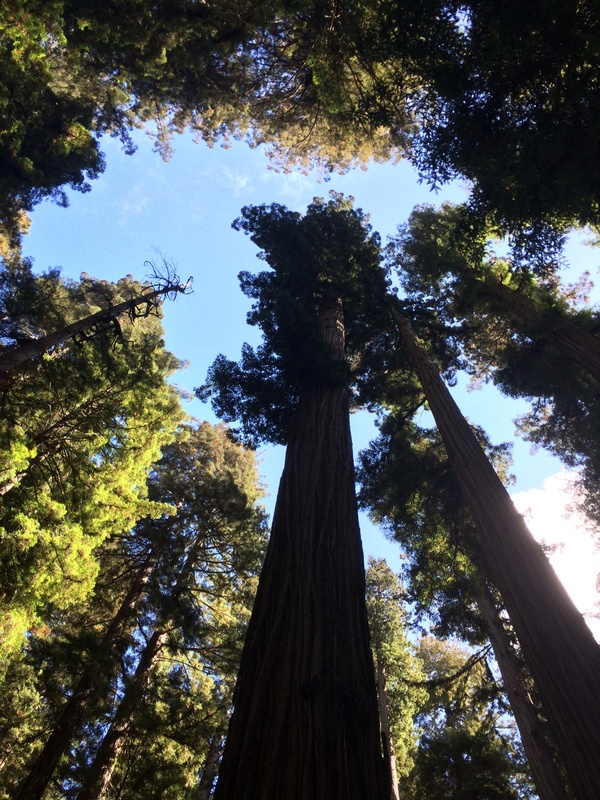 We needed to renew our awe and amazement again. 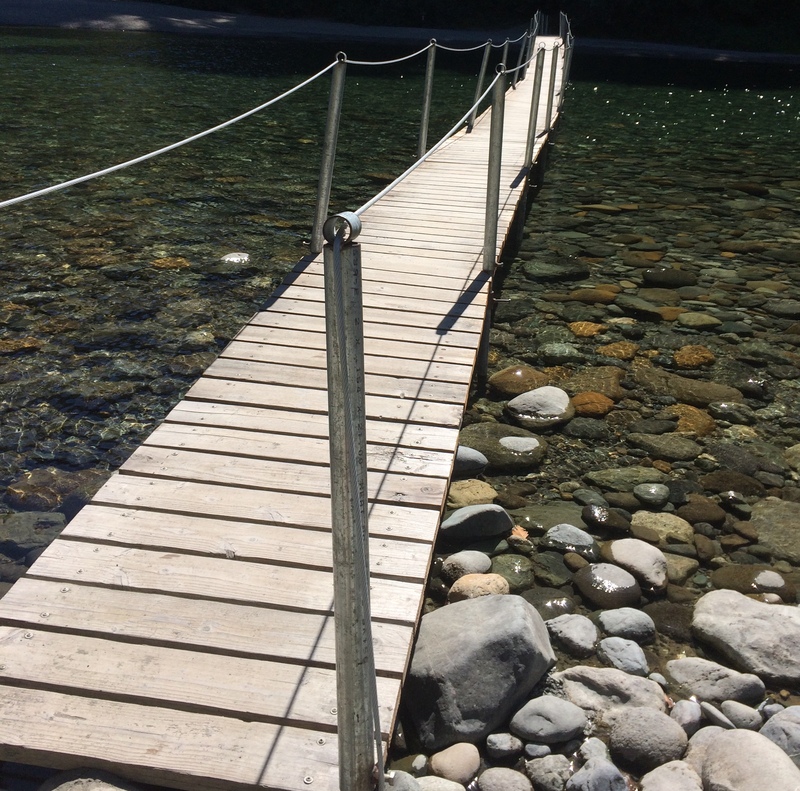 This bridge becomes impassable during winter rainfalls.